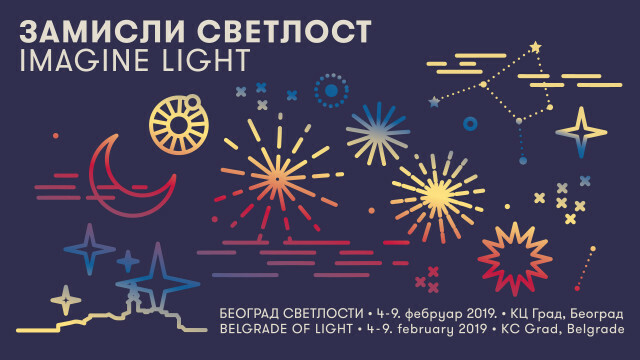 Belgrade of Light is a non-profit event dedicated to the development and promotion of the culture of light. Ever since its founding in 2008, the goal of the event has been to assemble in Belgrade and in Serbia prominent international and local individuals and groups and to open an inspiring new chapter in approaching light – whether it concerns an artistic expression and design, energy saving or simply identity of a city and visions of a brighter future. By organizing exhibitions and art interventions in urban areas, educational workshops, lectures and programs for children and youth, Belgrade of Light has built a reputation of an event that, by employing light technologies, develops authentic creative and experimental practices and, through its program content, establishes platforms for an open debates on lighting and light. So far, Belgrade of Light has had the opportunity to host numerous experts in the fields of architectural lighting design, science and art. They include people from Belgrade and Serbia but also those from many other cities and countries - Japan, Singapore, USA, Germany, Sweden, France, Denmark, Slovenia, Spain, Italy, Switzerland. International connections have also been established in cooperation with educational institutions, which brought student participants from Japan, China, Chile, Greece, Tunisia, India, Brazil and Romania, to our experimental workshops. Through presentations and exchange of experiences Belgrade of Light has forged close relations with organizers of prominent European light festivals, particularly with the Lighting Guerrilla Festival from Ljubljana and light festivals from Lyon, Tallinn and Eindhoven.